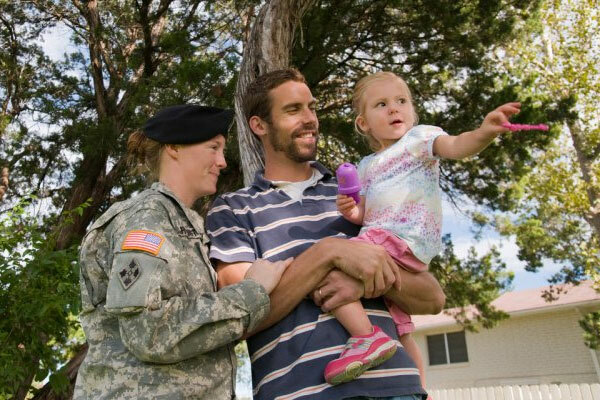 Family comes first for most male and female members serving the military. Most of what comes to light about military families is discovered from studies or research conducted on the families of these soldiers. Lynn Hall delves into the special features defining military families including the role of military spouses, divorce, marriage, and remarriage in her book, “Counseling Military Families.” Military spouses and their families face numerous hurdles and pressures including marital/relationship issues, deployment, separation, relocation issues, and isolation among others. These challenges are the price they have to pay to secure the nation. Hall indicates that “it takes a family to defend a nation” (pg. 71). Despite the overwhelming challenges they face, the strength of the military spouses cannot be questioned. Hall indicates that most of the therapists interviewed for his book lauded the incredible strength, hope, and resiliency that the military spouses showcased (pg.82). Most families give up their careers or homes just to take care or be close to their military loved one at all times. Military families are strong even when the circumstances turn out to be extraordinary. Fortunately, more service members are currently returning home alive owing to the state-of-the-art-technology and world-class health care. However, few still die or suffer devastating injuries while at war, something that directly impacts on their spouses and families. Nevertheless, their families still embrace them like heroes when they return. Military spouses are said to live a life of uncertainty, and constant changes become a way of their life. For that, they are required to be always ready for anything on short notice and are expected prepare for the unexpected (Hall, 2016, p.80). Sometimes, the burden becomes too heavy for military spouses that they quit thus leading to divorces, remarriages, and stepfamilies as a result. The numbers are quite significant according to research. Hall uses a 1999 study that showed that 19 percent of the married service members were in a remarriage (pg. 76). The statistic for divorced women service members is even worse thus a clear depiction of the concerns and issues that military spouses and family members experience. Since some members of the service figure out that they understand each other better, they end up marrying thus dual military marriages. Hall indicates that 7 percent of all active duty members and 3 percent of selected reserve members were involved in dual-military marriages as of 2009 (pg. 72). In the contemporary society, most military spouses strive to be independent and act on their own without being always considered an extension of their military members. Nonetheless, the military soldiers should be supportive of their families and come up with an initiative that helps their spouses cope up with the modern military lifestyle (Hall, 2016, p.81). Despite all these, the military has been working tirelessly for over two decades to help military families and spouses to incorporate more formal approaches to adapting to military life. These approaches include many organizations, classes, and activities. One such program is the family readiness group (FRG) which is one of the many initiatives that guide military spouses on how to deal with the emotional phases of deployment and educate them about the history of a branch of service that their partners serve among other things (Hall, 2016, p.79).